Ferrari factory original 1983 Ferrari 400i Brochure. 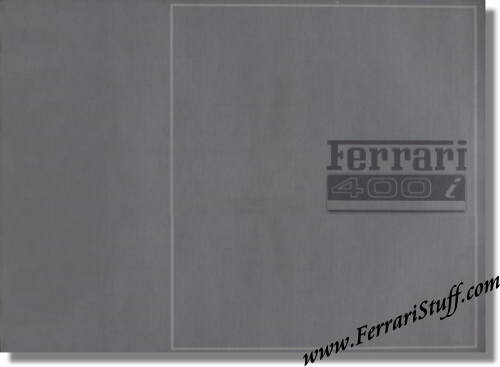 This Ferrari brochure contains 8 Pages + 2 fold-out pages + 2 "onion skin" pages (first one carries the printed signature of Enzo Ferrari). This brochure measures some 12 x 10.5 inches. Languages: English / French / German / Italian. Ferrari Print Print 295/83 13M/12/83, issued in 1983, printed in December 1983 by Stampa ABRE, Italy.